Healthcare is one of the fastest growing industries and going by the demand and dynamism, transformation in this sector is finally happening as the industry takes a leap forward to the trillion dollar revenue market. While the transformation is considered to be driven by fundamental shift in expectations of all stakeholders, it is importance of healthcare software solutions as we measure of health and well-being. While it is imperative for organizations to build the characteristics for a more coordinated, efficient and purposeful healthcare system, it becomes highly crucial to deliver cost-effective and a robust digital solution harnessing innovative technology. Healthcare industry has the possibilities to be a Game Changer in the social-economic development across nations. Quality healthcare is considered one of the most important factors in how individuals perceive their quality of life. The quality of healthcare is gaining importance as patients are aware of their right to choose with a higher stake in entire journey. Patient safety is now of paramount importance as patients are exploring resources to discuss treatments, procedures and even individual practitioners. Technology adoption leads to changes in healthcare quality and effectiveness. As a healthcare delivery system is going through paradigm shift it is imperative that technology infrastructure should evolve. 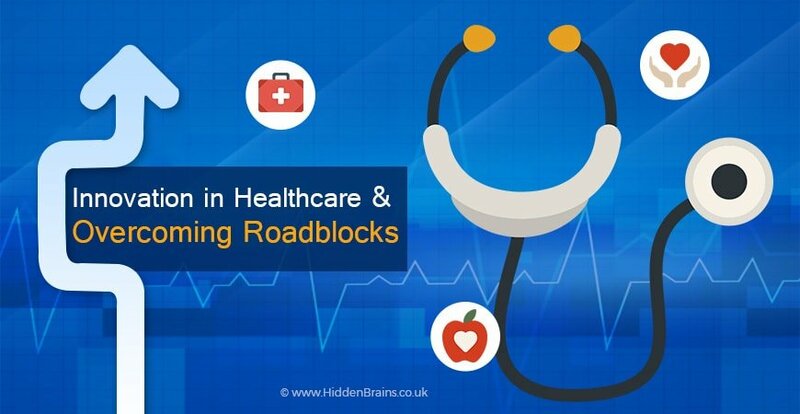 Divided between the public healthcare system National Health Service (NHS) and smaller private segment, the UK’s large and sophisticated healthcare market constantly requires new and innovative technologies. Healthcare organisations across the UK are facing similar challenges such as an ageing population who will require more healthcare solutions in future. And technology will play a central role in delivering healthcare services. With the right combination of technology and emerging solutions, health organizations can deliver both long-term and short-term needs, such as improving efficiency, transforming healthcare delivery and achieving better patient outcomes more effectively. Patient privacy issues and data breaches continue to be a major concern with providers, payers, and consumers, especially with ongoing data breaches in the news. Data management and secure Digital healthcare technology is delivering solutions to tackle the increasing need for better diagnostics tools. It also is creating challenges for governments, health systems, and insurers which must collect, analyze, and store more and more data. Development of the IoT in the healthcare market has been an invaluable discovery in areas such as remote clinical monitoring, preventive care, assisted living for aged, and consistent fitness monitoring. Each connected device is a potential door for cybercriminals and needs to be secured. It is important to keep patients’ information safe and secure, improve medical device and health IT security and resilience. With a focus on health IT security and resilience, the process is now geared towards increased industry readiness with better cybersecurity awareness; identify mechanisms to protect research data as well as intellectual property from attacks; and improve data sharing of industry threats, risks and mitigation. Healthcare organizations need to stay ahead with disaster preparedness to ensure efficient functioning of critical systems. During such scenarios, virtual backup to traditional services can help provide medical assistance even in damaged or tattered facilities. Connecting each internet-connected medical devices and health system together can streamline processes related to patient care, medical records and billing—but each connected device opens up a gateway for cybercriminals. Emerging technologies are helping organizations implement cost-effective healthcare software solutions on a global scale. These new technologies will change the future of healthcare and impact several areas such synthetic biology, 3D printing and diagnostics. Emerging features such as centralized digital centers to enable decision making, clinical monitoring, targeted treatments, and the use of portable devices for acute hospital care. AI technologies for on-demand interaction and seamless processes to improve patient experience. AI will allow caregivers the chance to spend more time on care and less time documenting it as well as help enhance overall patient care process. Next-generation interoperability will drive operations and back-office efficiencies. Technology is the most important aspect of future hospital and healthcare delivery—especially for complex patients and procedures; everything will depend on human expertise. It is important to consider make smart investments in people, processes, and infrastructure to empower digital technologies. Your method of describing the whole thing in this article is truly pleasant, every one be able to without difficulty understand it, Thanks a lot. Pretty nice post. I just stumbled upon your blog and wished to say hat I have truly enjoyed surfing around your blog posts. After all I wil be subscribing to your rss feed and I hope you write again soon!